Adrian Gonzalez was the Dodgers’ offense against Arizona, and for the most part, the rest of the infield represented the lack of production on offense the Dodgers exhibited this weekend. A-Gon had another terrific series. He was 0-for-3 in Friday night’s 3-0 defeat, but went 6-for-8 the next two games, drilling his second homer of the season Saturday night. Gonzalez drove in a pair of runs and scored a pair of runs this weekend. The team got some production from catcher A.J. Ellis, who went 1-for-6 with a double in two games, and newly acquired Ramon Hernandez went 1-for-4 with an RBI double in Saturday night’s 7-5 hit-fest. It was a rough go for the rest of the Dodgers infield in Arizona. Luis Cruz went 0-for-7 in two games after getting Friday night off. Mark Ellis went 1-for-8 in two starts. Justin Sellers went 2-for-7 in two games. The reserves were okay filling in, but, obviously, a lack of run production was evident this weekend. Skip Schumaker went 1-for-3 with an RBI double and a pair of runs scored filling in for Mark Ellis on Saturday night. Nick Punto went 2-for-3 starting at third base on Sunday. Are you impressed? Yeah, I didn’t think so. Did somebody say lack of production? Look no farther than the Dodgers’ outfield. Matt Kemp‘s struggles continued, he went 2-for-13 with an RBI double in Saturday night’s 7-5 win, driving in two runs. Andre Ethier fared slightly better going 3-for-11 in the series, with an RBI double Saturday night, as well. Carl Crawford got Friday night off, striking out in a pinch-hit appearance. Crawford was the offensive catalyst on Saturday night going 2-for-5 with a double and a pair of runs scored, but went 0-for-4 on Sunday. Although every Dodgers’ hitter got a piece in Saturday’s 7-5 victory, the overall lack of production is evident. It appeared as though the spell might be broken when Kemp and Ethier broke out with big hits in Saturday night’s win. However, they went 1-for-7 Sunday. It’s only two weeks into the season, but Kemp and Ethier will have to step up their production in order for the Dodgers to reach their championship potential. The Dodgers’ starting pitching was as advertised in this series. Clayton Kershaw suffered his first loss of the season Friday night, despite pitching 7-1/3 innings, giving up only three earned runs. Kershaw struck out nine, but left in the eighth inning after a pair of singles and a walk to Gerardo Parra loaded the bases for Arizona. D-Backs starter Patrick Corbin bested Kershaw, allowing only three hits over six innings of shutout ball. Hyun-Jin Ryu continued to impress, pitching six-plus innings Saturday night. Ryu surrendered three runs while striking out nine with only one walk. The Korean lefty improved to 2-1 on the season. After two very mediocre starts to begin the season, Josh Beckett finally delivered the start the Dodgers had been waiting for Sunday. A one-run complete game. However, due to a lack of run support, Beckett’s most brilliant performance of the season was wasted. Beckett struck out nine batters in 8-1/3 innings of work. It was his first complete game since June of 2011. However, Trevor Cahill and three D’Backs relievers shut out the Dodgers on six hits. The Dodgers bullpen didn’t get extensive work this weekend, but it wasn’t a real impressive weekend for the bullpen. Newly called up Shawn Tolleson entered the game for Clayton Kershaw on Friday night with the bases loaded and walked home back-to-back runs. J.P. Howell would come in to restore order an record the final two outs for the Dodgers. After Ryu’s phenomenal start Saturday night, the Dodgers’ bullpen decided to play a tightrope act. Ronald Belisario came in to pitch the seventh inning, giving up RBI singles to Eric Hinske and Eric Chavez, trimming a 6-1 lead to 6-3. Kenley Jansen allowed his first runs of the season Saturday night. Martin Prado homered off Jansen, and Aaron Hill smacked a two-out double to cut the Dodgers lead to 6-5 before Jansen got Cody Ross to strike out looking. After struggling in his last outing against the Padres, Brandon League pitched a 1-2-3 ninth inning on Saturday night for his fourth save of the year. It’s not so much disconcerting that the Dodgers lost two of three games on the road to Arizona, but that they got shut out twice in the series. The starting pitching is doing their part, and the offense must step up to help them out. 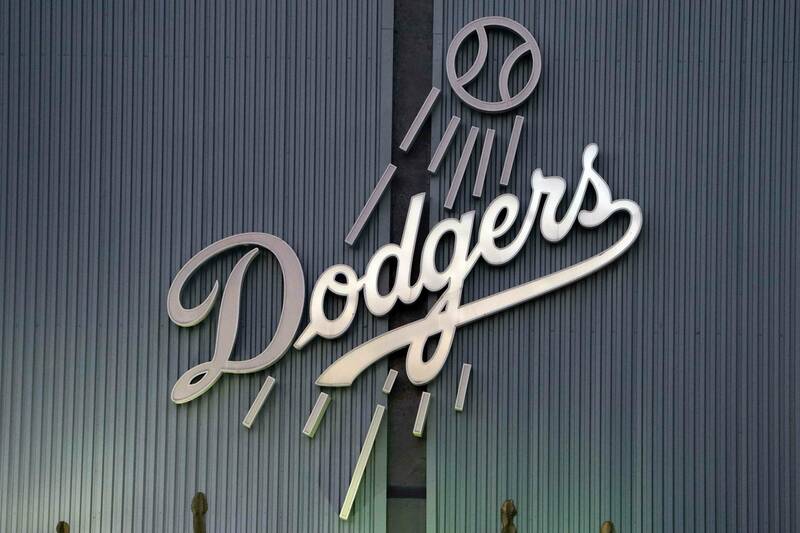 The Dodgers return home today for a three-game rematch with the San Diego Padres. Any expected fireworks will be avoided for now. Carlos Quentin is serving out his eight game suspension and won’t be in attendance for the series. The Padres just got swept at home by the Colorado Rockies and have lost five straight games. The Padres’ 2-10 record is tied for worst in the majors with the Marlins.